There are 10 yummy fragrances to choose from, some include Chocolate Truffle, Spiced Apple and Mince Pie. All the favourite smells we know and love. Each pack contains 5x cog shaped, natural Soy Wax Melts with a total burn time of 60hrs, so with its RRP of £6.25 you really cannot go wrong. I tested one Melt on the burner for 6 hours and as you can see there is plenty of wax left so I wouldn’t be surprised if they burn for longer than the suggested 12 hours for each Melt. The pack smells good enough to eat but on the burner, they make the whole house smell amazing. My better half returned home from work expecting to find something tasty in the kitchen but unfortunately for him, I’m possibly the worlds worst cook and he should have known better. The Wax Melts are hand made at Valley Mill’s workshop in South Wales, where they also make Soy Candles in the same scents. I would definitely recommend the Melts for both personal use and as gifts too. You can purchase them online. 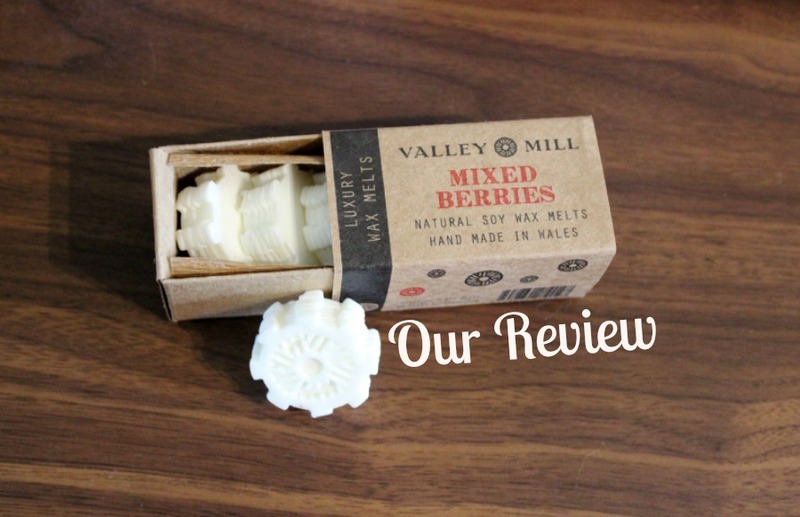 *I was sent these Soy Wax melts from Valley Mill in exchange for my honest review. I was not paid for this review. Yes these would make great stocking fillers. Nudge nudge wink wink !